My four-year-old Jackson has really discovered the meaning of compassion this week. With the tornadoes and storms hitting so close to home in the last several days, Jackson really wanted to understand what had happened, especially in Joplin. We have had many, many talks about tornadoes, and when he finally began to comprehend what these storms did to the city and how people were affected, he became very concerned. In particular, he continued to ask me what happened to the children in Joplin. His heart was broken over them, and we have prayed together, on his prompting, for the children. He asked God to find their roofs and doors in the sky and bring them back so they could have houses again. He asked God to send the storms and tornadoes away so they could be safe. I encouraged him to keep praying, because by praying, we are taking action and helping those children and families. After praying, Jackson decided he wanted to go to Joplin and build all the children houses so they could be safe again. He was very adamant, and talked about that for most of the day yesterday. 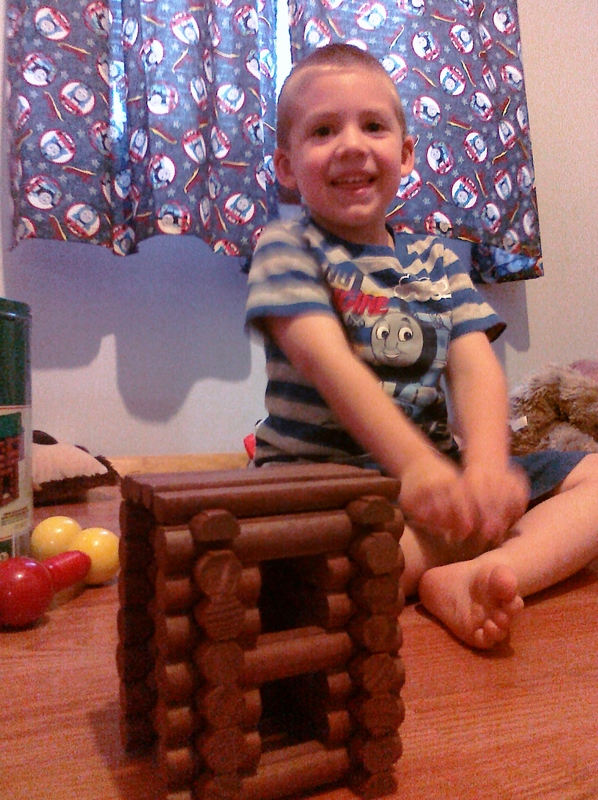 Though that idea was a very sweet and caring one, we decided that instead he would practice here with Lincoln Logs. I recommended we look around the house for things we could give to the children to help them. 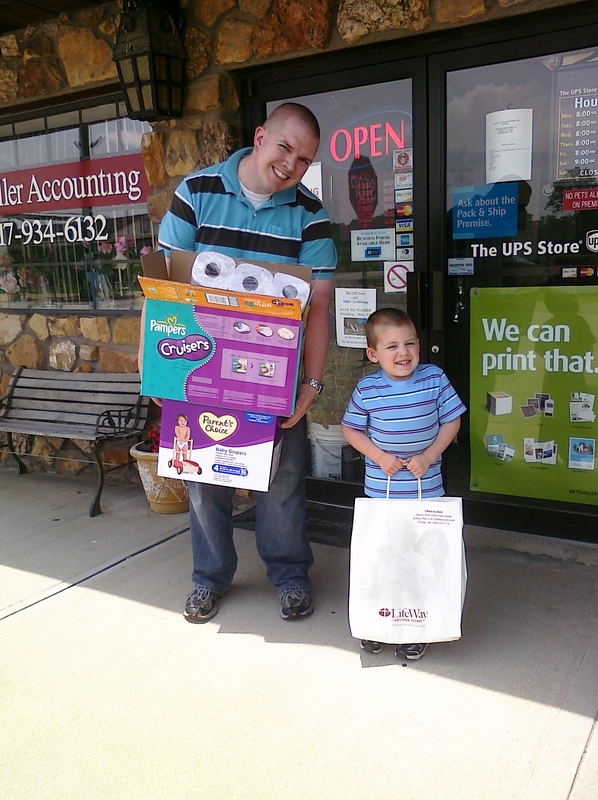 So, we began our search, and he helped fill two boxes with toilet paper, toothbrushes, soap, etc. Today, our whole family went to a drop off point here in town, and Jackson delivered our gifts to help the children he is praying for. This is the first time as a family we have done something like this. Independently, Matt and I have reached out to families in need, with the kids in tow, but this time Jackson took the lead. I am so proud of him, and I hope to continue encouraging him to show compassion to those around him, sharing Jesus’ love. It’s never too early to encourage empathy in children, because even four-year-olds can have a heart for the world. That is so sweet and caring of Jackson. It says a lot for the example you and Matt have shown him and taught him in the last 4 years. Tell him how proud I am of him for his caring for the children of Joplin.